This is Manny. The world isn’t the same without him. It’s been a week, but doesn’t get easier for those who loved him. What a lovely man. Manny Salzman portrait on Manny’s Bridge in LoDo, downtown Denver, Colorado. He is pictured on the Wynkoop Steel Railroad Bridge which he saved from destruction in Lower Downtown Denver. Well, actually he saved all of them and steel bridges continue over the Platte River. 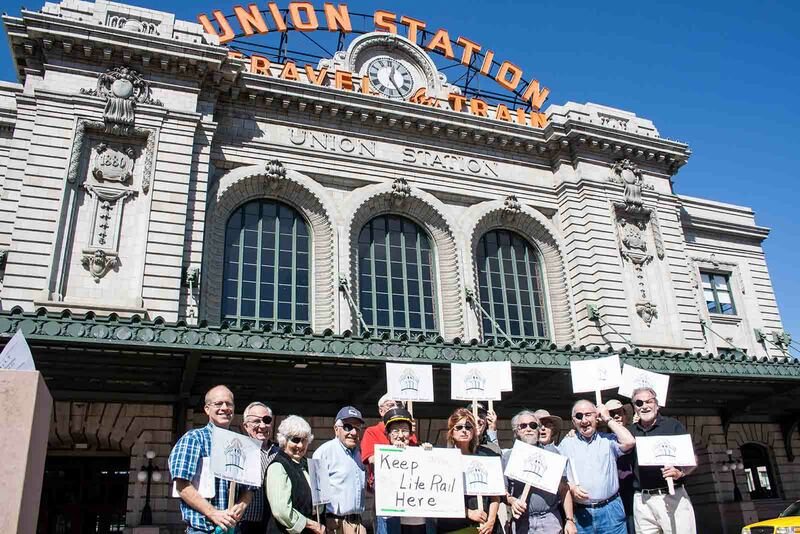 He convinced the City & County of Denver along with important historic preservationists this was a worthwhile effort. Manny and Joanne moved to a warehouse in Lodo in the 1980’s before it was popular. Together they are responsible for the historic designation, look and scale of this downtown Denver neighborhood. 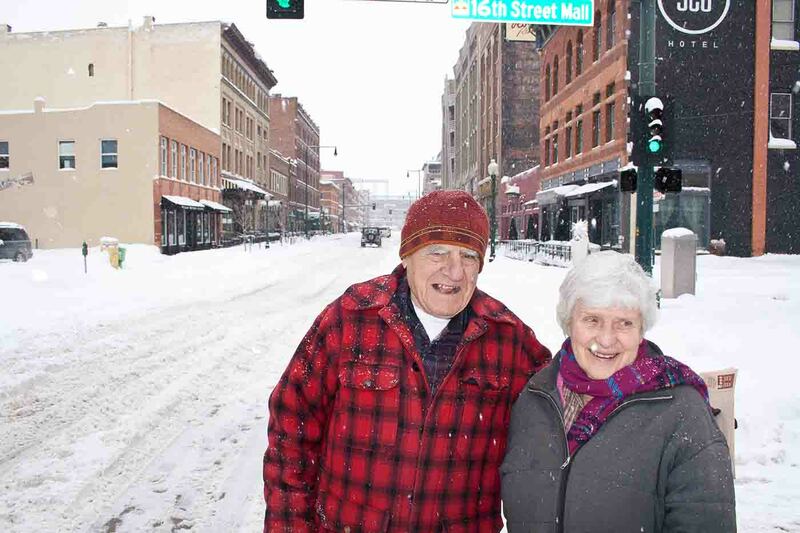 Manny and Joanne Salzman out for a walk snow storm in LoDo. Manny and his wife Joanne rode their bikes along a trail along the creek. Pedestrians and bicyclists were crawling over the shaky Wynkoop Steel Railroad Bridge structure ready for demolition to cross Cherry Creek. The Salzman’s are proudly pictured with the old sign which was used to discourage people from this activity. 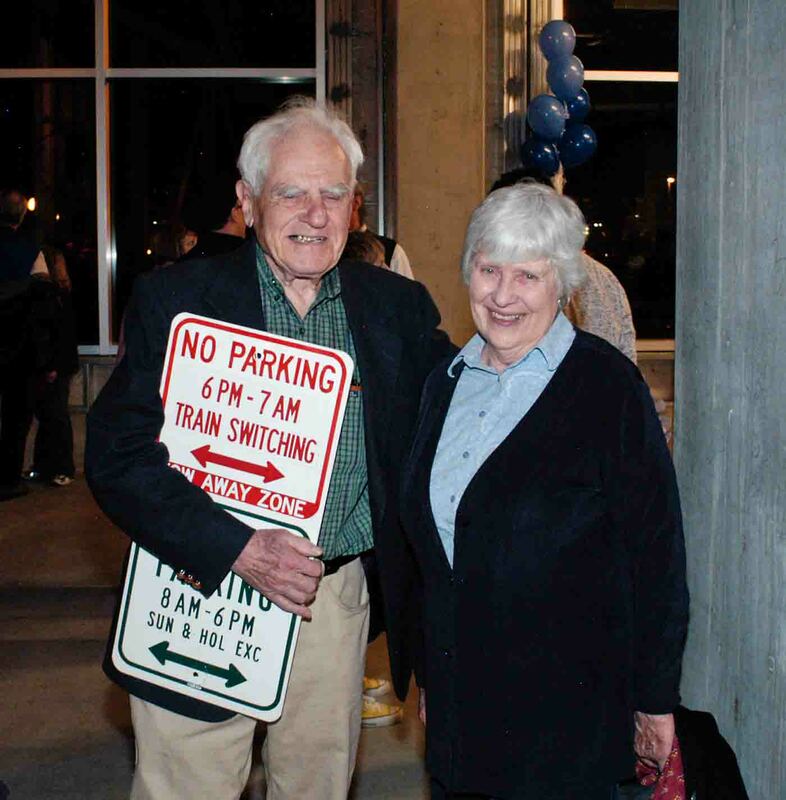 Manny and Joanne Salzman with sign from bridge while it was closed decades before. 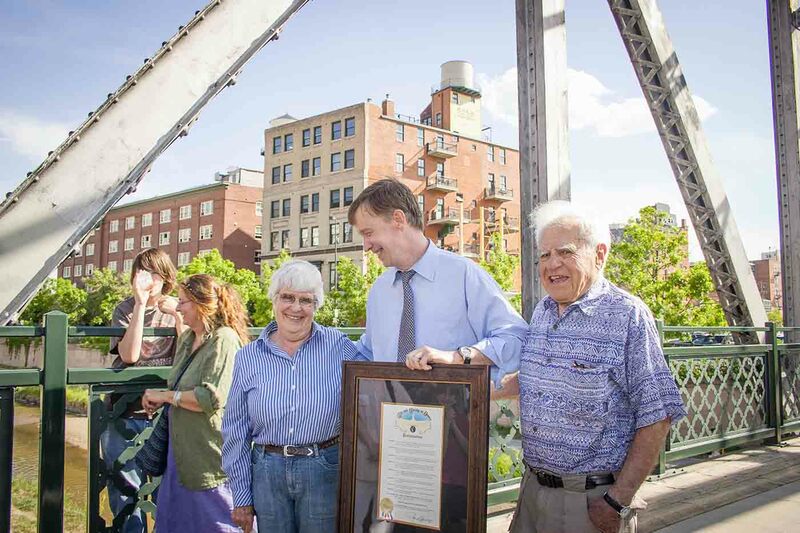 Then, Mayor Hickenlooper presents Manny with a bronze plaque placed on the bridge also named in Manny’s honor. 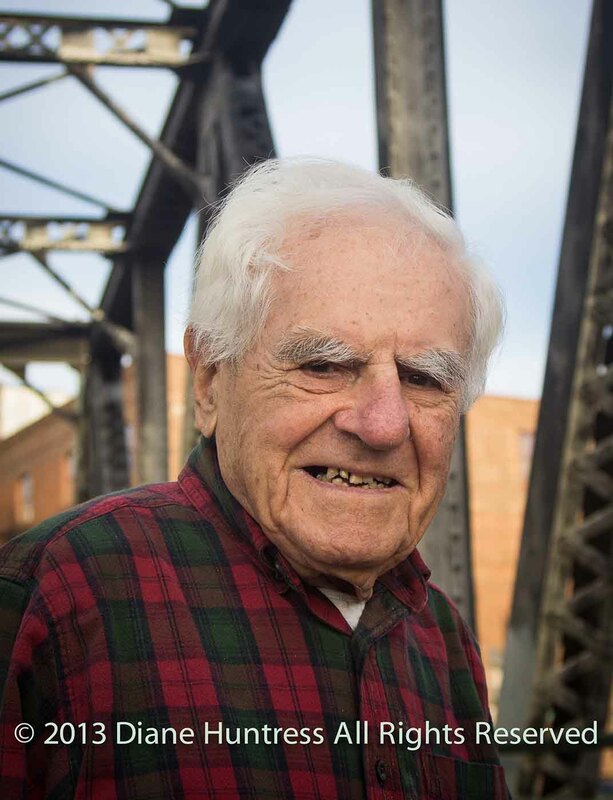 Mayor Hickenlooper officially names the steel bridge after Manny Salzman. Trying to protect the open space around Union Station and keep the LightRail close to the station. A new, additional bronze plaque has been added to Manny’s Bridge. It officially announces the Current3 contemporary light art installation by Virginia Folkestad. I instigated the art installation concept to honor the 150th Anniversary of the City of Denver. It took 3 years to get it done with the help of the Lodo neighborhood and the blessing of the noted Denver Arts & Venues Public Art Program. Ron Straka chose the bridge site because it was near the Confluence where Denver was founded and it was also going to be the main route for attendees of the 2008 Democratic Convention to reach the Pepsi Center on foot from downtown. Bronze Plaque designed by Ellen Bruss Design, Denver. 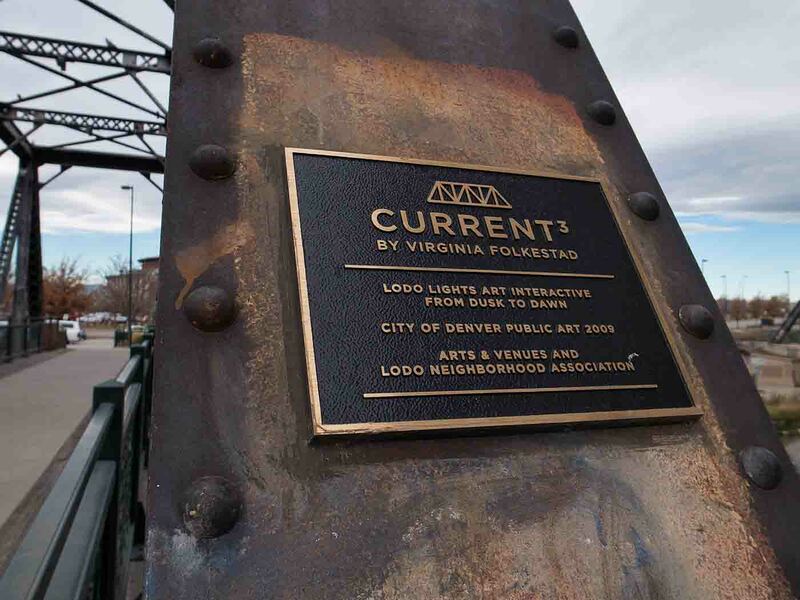 The plaque honors the light art installation, Current3, by Virginia Folkestad. 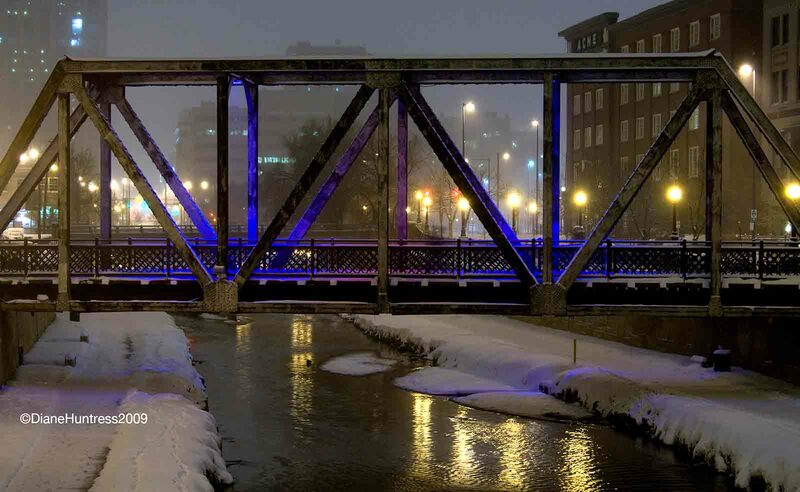 Manny’s Bridge is most beautiful during snow fall in the evening. It’s light installation is currently being updated. Manny would have loved to enjoy it again. Current3 Winter Snow on Manny’s Bridge crossing the Cherry Creek on Wynkoop St. This entry was posted in American, Character, People, Uncategorized and tagged famed, Manny Salzman, mycologist.